Denmark offers many attractions, so we've created this guide to show what you can do with seven days in Denmark, starting and ending in Copenhagen. From the famous canal district in Nyhavn to the birthplace of Hans Christian Andersen in Odense, here are some highlights for a weeklong trip. You paid good money to get here, so you want to get as much out of your trip as possible, without being pressed for time. 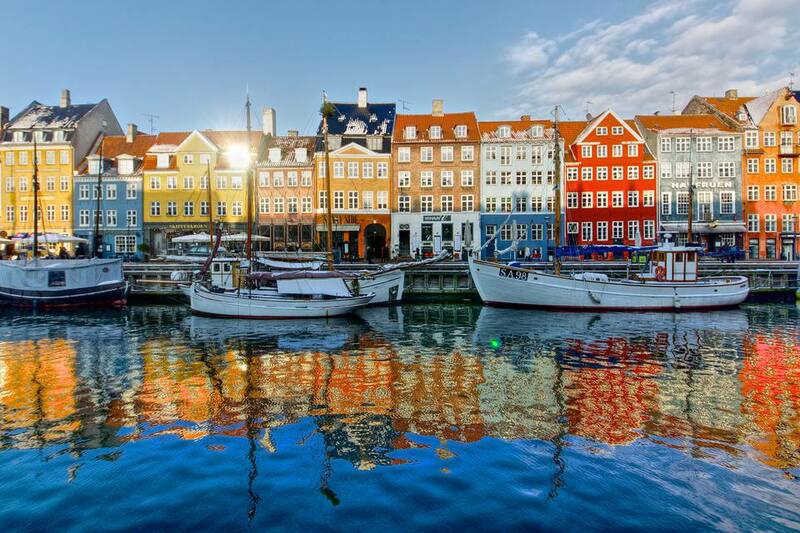 Seven days and nights in Denmark provide for just enough time to explore the beautiful island of Zealand, home to the country’s capital of Copenhagen, as well as relax on the island of Funen. Trains are an easy way to travel to and from all major cities in Denmark, but if you wish to plan your itinerary yourself, renting a car is the way to go for most visitors. This allows more freedom to move around and change your route as you see fit. Copenhagen is a bustling city alive with history, art, and entertainment. Spend the first few days thoroughly enjoying and exploring the city before moving on. Copenhagen combines the old with the new, history with modern day life. It is also a city of fairy tales and mermaids. Nyhavn is the famous canal district, once home to Hans Christian Andersen. Quaint street cafes are scattered where you can enjoy a lazy lunch and delectable Danish beer. At night, stroll along the pedestrian street in Strøget for a shopping experience of note. Be sure to plan a trip to Tivoli Gardens on your second night. It is one of the most magical spots in Copenhagen, with the world's second-oldest amusement park, lush gardens, and cozy restaurants. Depart from Copenhagen and head to the harbor town of Nakskov to catch a ferry to the beautiful island next door. The 169-kilometer trip should not take long, so you have time to stop at all the little towns sprawled along the route. Enjoy the relaxed beauty of the sleepy town of Nakskov. Here you can book yourself into one of the comfortable hotels and explore one of the two main attractions. The biggest attraction in Nakskov Harbor is the U-359 Russian submarine. Nakskov was also home to the largest sugar factory, now known as the Sugar Museum. Alternatively, you can head straight to Svendborg if you arrive early enough in the day to catch a ferry. There are a few minor sights in Svendborg, but the highlight of this trip is exploring the nearby islands, each linked to Svendborg by the bridge. Use Svendborg as your base while traveling to Tåsinge with its several main attractions, including the old church tower at Bregninge Kirkebakke with its sprawling views over the islands. Odense boasts some major sights, including the birthplace of Hans Christian Andersen. The cobblestone streets will leave you breathless, and you can spend hours enjoying the historic houses. In Odense, you will be spoiled for choice with entertainment and good restaurants. Plan a trip to either Egeskov Castle, the Odense Zoo or the historic Railway Museum. Before departing for Roskilde, be sure to visit Funen Village, an open-air museum depicting life in the 1700s. About 19 kilometers to the northeast of Odense, you can still see the ruins of a real 10th-century Viking ship. For your sixth and seventh day in Denmark, head back toward Zealand, through the port of Nyborg, where you will cross the Great Belt Bridge, leaving Funen behind. After the 133-kilometer trip, you can take a 90-minute boat tour of the Roskilde Fjord. Roskilde is famous for both its cathedral and authentic Viking Ship Museum. You can either spend the night in Roskilde or travel the extra 40 kilometers north to Hillerød. Hillerød boasts magnificent surroundings and many areas to explore. Fredensborg Palace is surrounded by a lovely park and the tranquil Lake Esrum. Fredensborg is one of the many must-see highlights of the trip. Hillerød is 37 kilometers from Copenhagen, making it the ideal place to stop before the quick transit back to the capital.